Type a description for this product here.. . 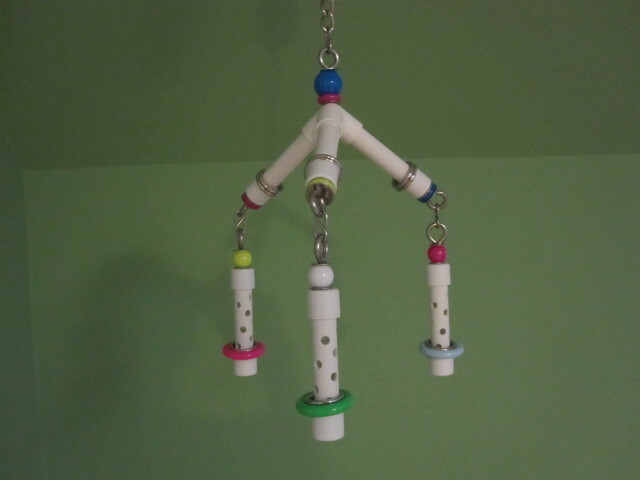 I bought this for a Scarlet Macaw that loves to get under her toys & play with them. It's perfect for her, built heavy enough to withstand her chewing, turns & moves freely & is intriguing with the Marbella rings & bells. Click the button below to add the 3 RING CIRCUS (Large) to your wish list.